Florida Keys bee keepers maintain bee hives making native and pesticide free honey & wax. Natural gardens also specifically attract other pollinators as well as dragonflies, butterflies, lady bugs, and wasps to help naturally control things like aphids and other nuisances for plants and gardens, all in an effort to protect the bees and their glorious honeymaking abilities. Look for local, raw honey in the Keys! 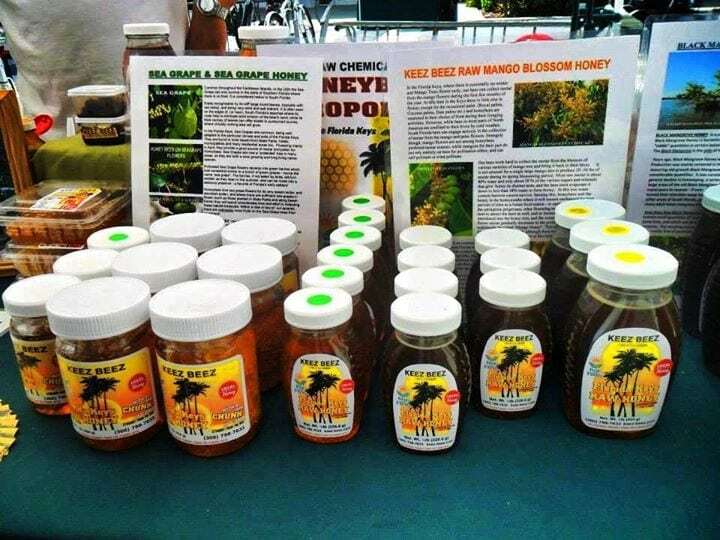 Bees N The Keys honey can be found at many festivals, in Key West SALT Island and don’t miss Keys Cable and Adventure Park for organic honey & goods.